Paints for slate house signs. Using the right paint for slate house signs is really important as it affects the quality of the finished product. Why choose and great material to work with, like #CornishSlate and finish it with an inferior product? When we started the business we tried a number of different paint types to see which ones were the best. After a fair bit of research we found that the One-Shot range of paints were one of the top brands. We chose to use their undercoat and professional signwriter range of enamels as our paints for slate house signs.. The paints give a really nice finish and they have a great lifespan when applied correctly. In good conditions paint should last for many years. Painting the signs correctly is fundamental to them looking good and staying looking good. After finishing the lettering the painted area is made completely dust free. Dust would stop the undercoat taking to the surface of the slate. Undercoat is needed to ‘key’ the slate for the top coats of paint. Once the undercoat is dry, 4-6 topcoats of the chosen colour are applied, one day apart, to ensure each coat of paint is dry. Each piece of slate is different and some will coat in 4, others need 6. We cannot rush the painting process. Customers are sometimes surprised that it can take one week to paint a sign even if it is just a single number. It is not the number of characters that determine the length of time, but the drying time of the paint and the coverage required. 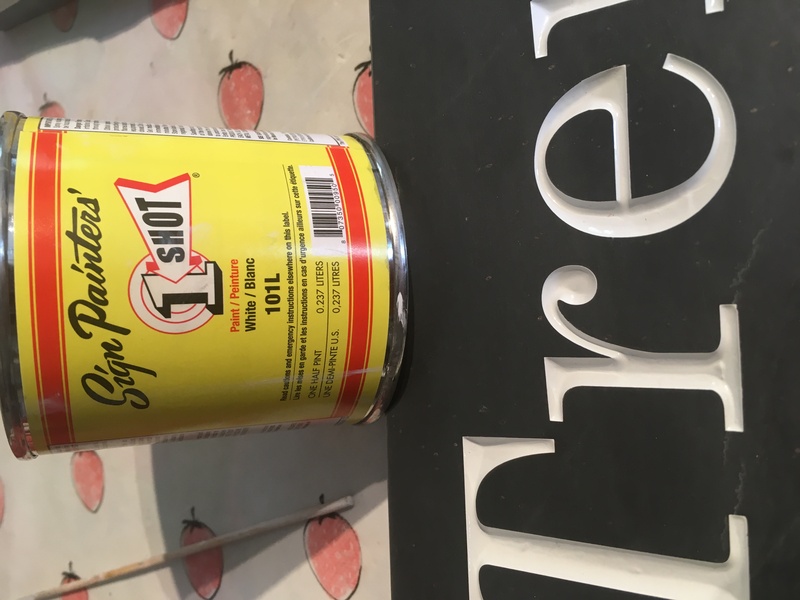 Painting on top of paint that is not dry will cause the paint to peel and whilst that will not happen immediately, the finish will deteriorate much sooner than it otherwise would. So it is important to do the job properly. Do a job once and do it right. 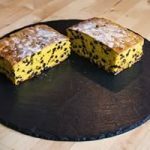 We hope you have found this article interesting and see that making a #CornishSlateHouseSign requires time and the use of great materials. Contact us for further details and all sign enquiries. In the main there are 3 types of font styles on house signs chosen by customers more than any other. These meet most customers needs BUT we can use many hundreds of different font styles so even if you want something quirky, we can usually help out. (The picture on this post features signs with Artificer and Gill sans fonts). Time New Roman – a classical font with pointy bits (serifs) on the letters. I would say this is a stylish and very traditional font style. It is a very common font. Artifiker – A blocky but quite nice font that sits between Times and Gill sans. This font is quite a bit larger that either of the others so it tends to make a sign quite a lot larger. The serifs are very blocky. Gill sans – A very straight line font with no serfs or character in the lettering. As a ‘go to no fuss’ font, this makes a great choice and is one of the reasons it is so popular. Stevens Cornish Slate do not make a standard house sign because we can offer customers such a huge range of styles. 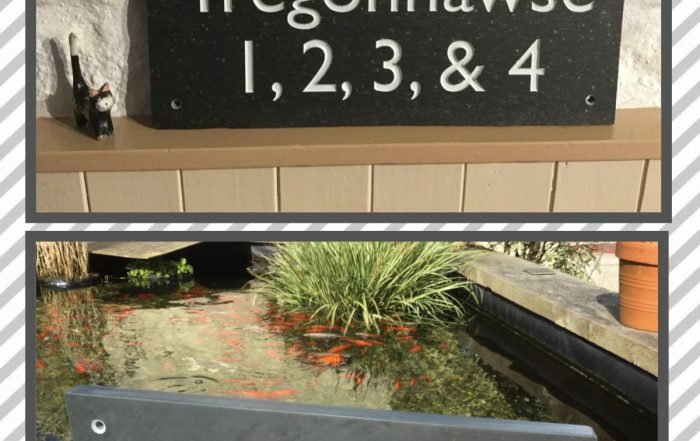 When enquiring about a cornish slate house sign, if you want a specific font, put it in the ‘other information’ section on the form and we will do our best to help out. Can we use any font? Lots of fonts are free so we can usually get one if we don’t have it. If you want a font that is not free, then we can buy it but the cost will be added to the cost of your sign. Want to know more.. contact us via the HOUSE SIGNS page. 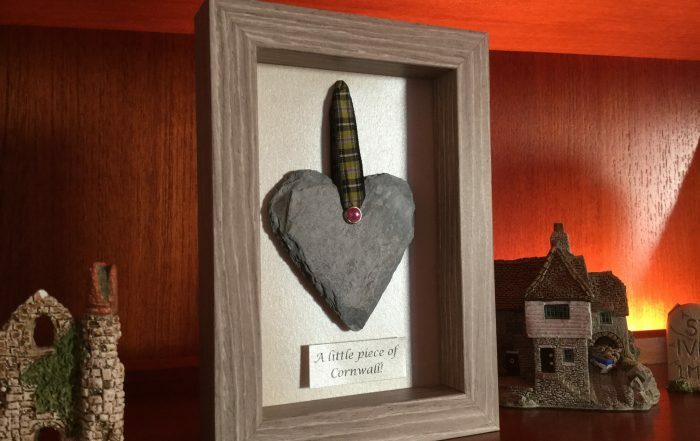 For many people that used to live in #Cornwall or who holiday here regularly, having #YourLittlePieceOfCornwall can mean so much. It serves as either a memory of great times or as a connection to your roots. Cornish people have relocated around the world and the miners of old travelled far and wide taking their mining skills with them across the globe. Having that close attachment to your roots is so important to many people that we created a few items that people could have so that there is always a constant reminder of your home county or the place where special memories are made. 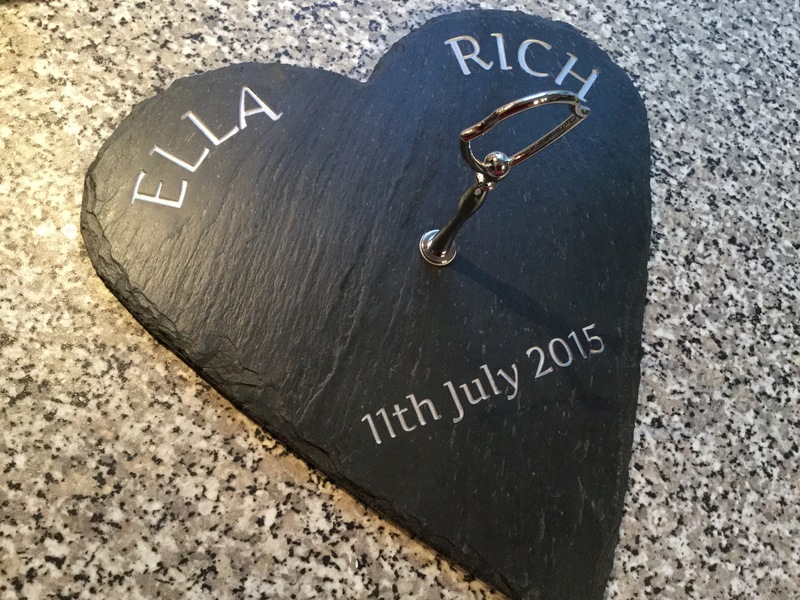 Our #CornishSlate hearts can be framed or just hung as valuable keepsakes. These are all hand cut from Cornish Slate and then cleaned by hand before being framed and finished with some Cornish ribbon. We also make them without frames so they can be hung on a wall in a kitchen or living room. Our hearts make excellent wedding souvenirs as they are small enough to be given as a reminder for that special day. They measure about 70mm square although we can make larger ones and personalise them for your day. 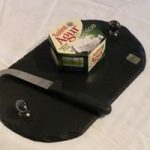 Slate products for weddings and special events. Birthdays, anniversaries and other special events deserve to marked with something that will last a lifetime. 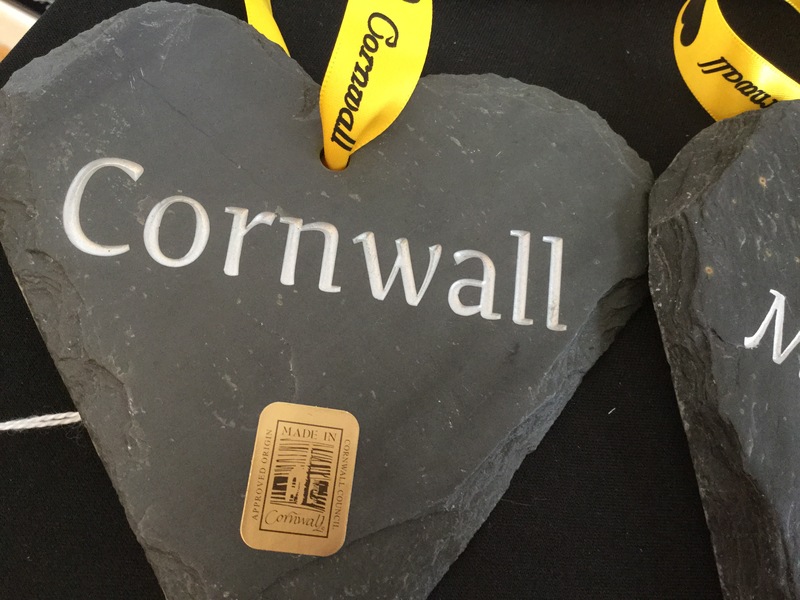 If you have an idea to commemorate an event, let us make something special na unique from Cornish slate for you. From christenings to memorials (even for pets) we can make really individual items that you cannot buy in a shop. 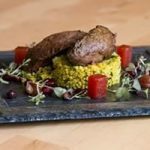 Some ideas for you to consider. We can engrave names, dates, places in a range of fonts. All items treated with an anti stain treatment. For display items only, a painted finish is available. We do not recommend painted items that are going to be used for food. 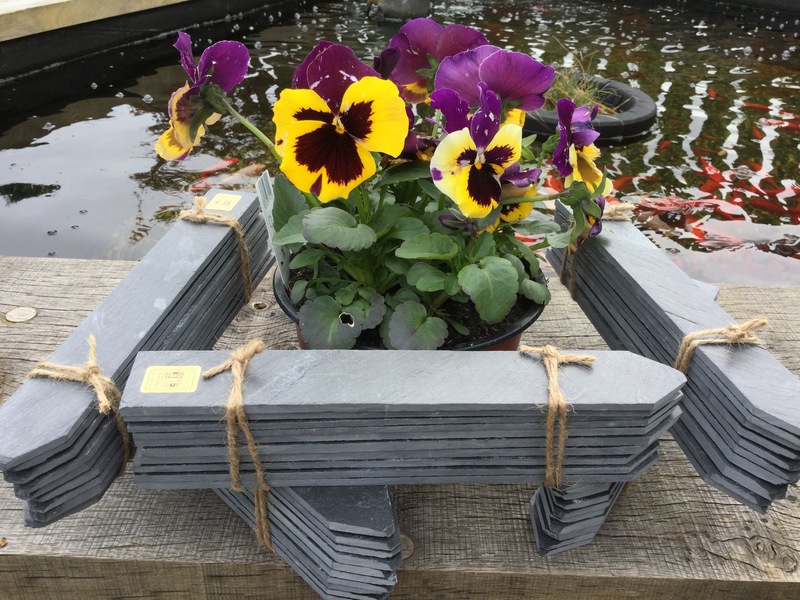 A lovely way to identify the plants in your garden is to use slate plant tags. These can either be hung from a plant or shrub or stuck in the ground. We make two styles of slate plant tags. 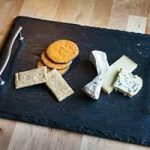 They are available in either Cornish slate, or spanish slate. Slate plant tags are generally oblong with a hole for tying to a shrub or pointed so they can be stuck in the ground. Sizes and shapes of tag. The oblong re 1o25 x 90mm with a hole (or holes) drilled centrally along the top or side edge. These can be written on using a white or yellow marker pen. This can be washed off allowing you to use a tag many times. The ‘spike tags’ are approx 200 x 30mm with a pointed end so they can be stuck in the ground. Again these can be used many times over. There is a minimum order of 10 but no maximum. 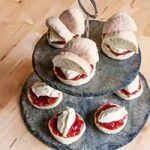 5% discount on all orders over 50 sets. 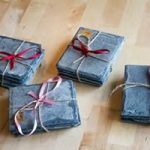 Pointed tags in Cornish slate £9.80 each set of 6, plus delivery.